Stevenage new town is 73 years old this year! It’s famous for its many roundabouts, it’s production of the Vincent Black Shadow motorbike, and Europe’s first Mars Rover, the ExoMars, is being built here – YES – in Stevenage! For the P&M Windows team, however, the town will always be notable for a number of uPVC window installations that we’re particularly proud of. Any window installation can look good in the first few weeks. The real quality only shows after 4 or 5 years of good weather, bad weather and day-to-day wear and tear. If the frames are still looking bright and clean by that time, you know that you’ve invested well. At P&M Windows we recommend uPVC because experience has taught us that they do a great job, and the stand the all important test of time. To be honest, uPVC doesn’t need a hard sell with our customers any more. Why? Because most of them have seen the results from friends or family having them installed. When we do get asked for the benefits of uPVC, though, there are 5 which we can ABSOLUTELY guarantee. uPVC improves the job your double glazing does. The plastic compound – unplasticised PolyVinyl Chloride – is a bad conductor of heat. Which means that it holds the heat in your home during the winter months, and keeps your home cool during the summer months. uPVC windows are our most competitively priced item, and they’re one of our most effective products when it comes to saving money on your heating bills. So, your windows cost less than you might think to buy and install. Then they save you money by using less energy to heat your home. uPVC windows last for at least 35 years and up to 50 years. They are the most durable frame available and require very little maintenance. 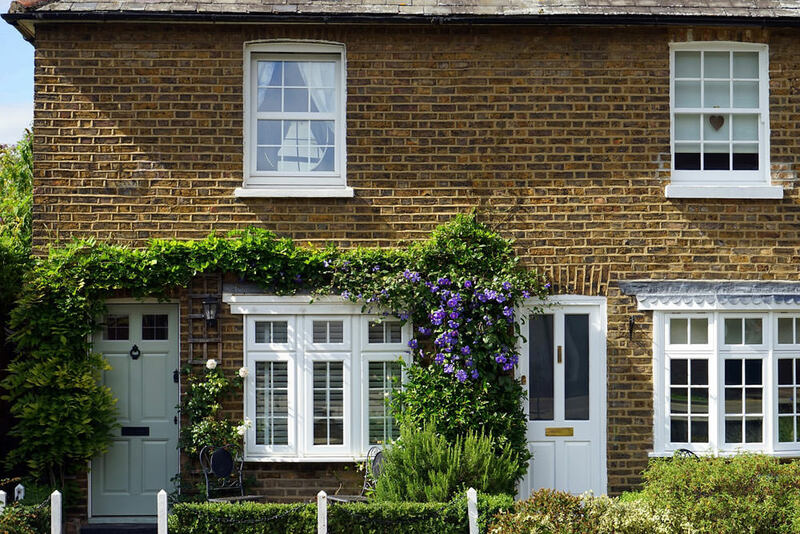 Your uPVC windows won’t rot, split, warp, rust or crumble. And all they need is regular cleaning with soapy water. uPVC windows add another layer of security to your home. The double or triple glazing is tough and difficult to break, and our high quality locks help to keep your family safe. The seals on the windows are co-extruded which makes them impermeable to outside weather conditions. Way back in the 1980s uPVC windows were clunky and ugly. They’ve come a long way since then. Now there’s a wide range of colours and finishes available, including lots of woodgrain textures. Slim sightlines now compete effectively with wood or aluminium frames. P&M Windows is a family business that has worked in and around Stevenage for over a decade. We’ve grown our local client network, mostly by word-of-mouth, and we take great pride in offering a quality of service that the big companies can’t get anywhere near. If you’re looking for advice and guidance on your new uPVC windows, the P&M Windows team will be happy to visit your home, help you to measure up, and provide a free no obligation quote. If, however, you’d prefer to be left alone to make your choice, our online quote provides you with a fast, accurate service. Looking for a local Stevenage window fitter who can be relied on? P&M Windows provide a high quality, personalised services and great-looking windows.